Wikispaces allows you to create your own Wiki which you can easilty add an email form to. The steps for doing this are outlined within the tutorial on this page. 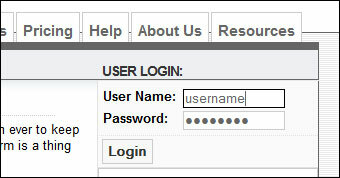 A Wikispaces web site embedded with a contact form can be viewed here. 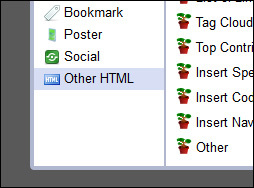 Before getting started, it is best to have your HTML form code already generated and ready to paste to your Wiki. The easiest was to do this is using a free email form service such as myContactForm.com. 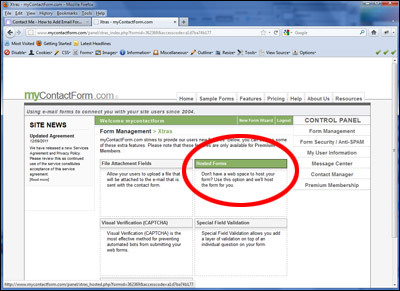 We have a full myContactForm.com tutorial here. a. 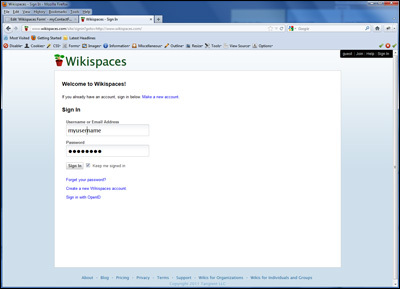 Go to Wikispaces.com and login. Below we are outlining the steps for adding an email form to an existing Wiki Page. If you have not yet created the Wiki page that you would like to add the email form to, please do this first. d. Open a new browsing window, navigate to myContactForm.com, and login. 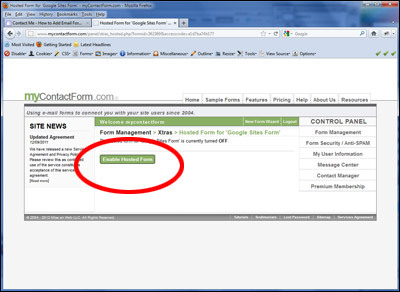 h. Select and Copy (CTRL+C or Right Click and Select Copy) the URL of the hosted form that is provided. 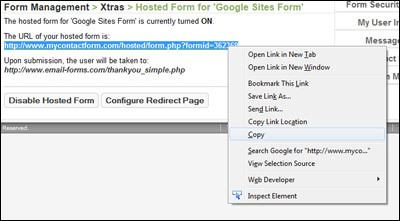 Replace "myhostedformurl" with the URL of the hosted form that you copied above. Also change the width and height values to accomidate the size of your form. Open a new web browser window and navigate to the web page containing your newly created form. Enter in the form fields and press submit to send a test through. Check your email to verify that the form data has been submitted. 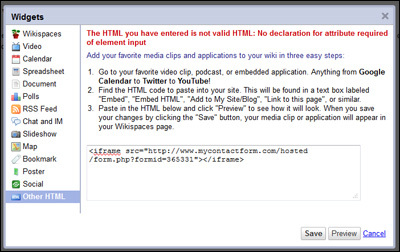 A demonstration web form created using a Wikispaces web site can be seen here.